One of the most integral parts of your dating website is having a mobile app for it. You can actually have a more robust and active community for your dating website if you have got a mobile app that you can offer for your users and do this dating business mobile app promotion. And the more people that download your dating website’s mobile app, the faster that your community and business will grow. There is also a chance to create revenue from your mobile app because you may actually display advertisements on your mobile app as well. So there are a lot of reasons why you should create and promote a mobile app in addition to your dating website. Promoting the mobile app for your dating website is easier said than done. And it takes a lot of work in order to ensure that more people are actively downloading and using your mobile app. However, there are a few things that you can try out if you would like to successfully promote the use of your mobile app to your users. If you try out these different tips and guidelines, you can actually increase the number of people that are downloading the mobile app for your dating website. A really easy way to promote the use of your mobile app and to entice more users to download it is to actually offer exclusive features on your mobile app. These features should be unique to your mobile app and not available on your main dating website. These exclusive features could be as simple as actually just navigating and messaging other users much easier on your mobile app. Or you could also offer a more direct method of communication between users of your mobile app. Whatever you choose, be sure to implement those features effectively on your mobile app. If you want more people, especially your current website users, to download your mobile app. You will have to advertise it. This will mean that you will have to formulate a marketing campaign for your mobile app. The more successful your marketing campaign for your mobile app, then a large number of people will download it. To have a successful marketing campaign for your mobile app you will need to come up with an effective marketing strategy. And to do that you will also need to find a target market and audience to market your mobile app too. Once, you have found that target audience, then you may be able to come up with specific advertising strategies for your mobile app. There are certain dating websites, such as Christian Mingle, wherein it is difficult to move over their many different website services to a mobile platform. This is because the huge amount of features and their specialized services make it hard for them to optimize their web content for mobile apps. If you do not want to commit the same mistake that they have done, you should follow the example of other dating website communities such as Tinder. The features of this dating community are very much optimized for the mobile app environment. And you should think about implementing the same optimizations for your own website, such as swiping controls. Bugs on your mobile app can severely turn off people from downloading it. So you should carefully fix any bugs that you find on your mobile app before you release it to the public. Even the tiniest bug could make other users not want to download your app. And the only way that you can effectively remove all of the bugs on your mobile app is to test it thoroughly before launching it. So be sure to check all of the different aspects and features of your mobile app, before you make it available for download to other users and to the general public. Nowadays, more and more people are going to be using mobile devices over desktops and internet browsers. So the chances are high that you will only be able to get a large number of users if you directly offer a mobile app for your dating website. The success and profitability of your dating website directly depend on whether or not it can actually gain a lot of users. A dating website will die or end if it does not have a lot of new users signing up for its services. If you would actually want your dating website to grow and have a large community, then you will need to tap into that new market of mobile device users. And now more than ever is the time to cater to the mobile device market. A large number of people using mobile devices and the huge potential for growth in those markets, are two of the main reasons why it is really important that you successfully promote your mobile app for your dating website. By following all of these different tips and guidelines, you are sure to find a lot of success with both your dating website and mobile app. Be sure to think carefully about your business model and strategy as well. You will need some way to monetize your dating website and mobile app. So you may want to try having ads or offer a paid service for your mobile app. 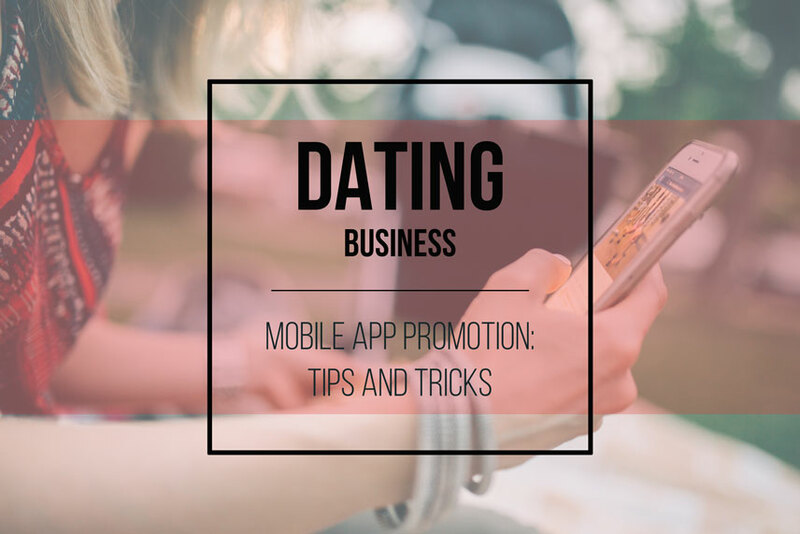 By doing any of these two things, you are actually going to be able to create a successful and profitable business mobile for both your mobile app and the dating website that you have got. And most of all, you should also focus on creating a mobile app and dating website that actually caters to a niche market. So if for example, you have got a dating website that caters to older people, such as Our Time, then you will also have to create a dating website and mobile app that also caters to older people as well. If you remember these really simple tips, then you are bound to effectively promote your mobile app for your dating website.